As I live in the city centre and as it is not practical to operate a private car I use public transport almost every day and any upgrades to the service is of great interest. I really look forward to the new Luas tram service as there will be a stop at Broadstone which is only a few yards away from my apartment. I use all services including bus, train and tram. The new double-decker buses have dedicated spaces for buggies as well as separate wheelchair spaces. CCTV monitors allow passengers to see what space is available on the upper deck, along with signs announcing the next stop. The buggy space is on the right-hand side of the bus while the wheelchair space is on the left. 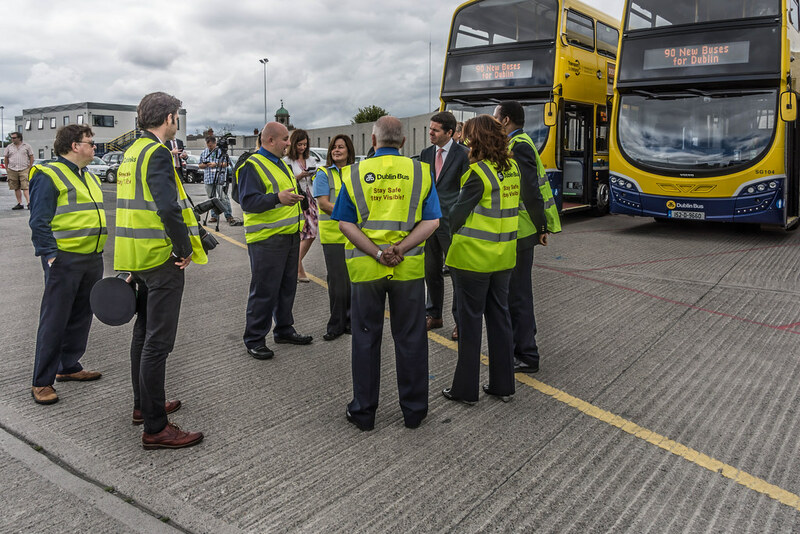 The new buses were manufactured by Volvo Bus Corporation, Sweden, and the Wrights Group, Ballymena, Co Antrim.